Many people have a hard time meeting their weight loss goals. This is because they find it hard to incorporate healthy foods into their meal plans. There is one thing that most people do not realize. 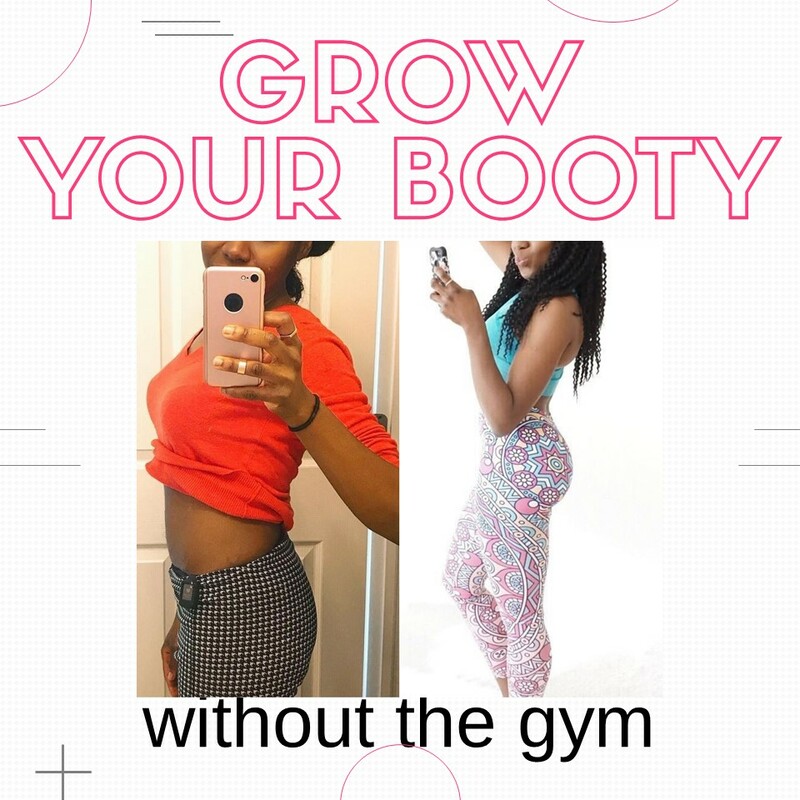 Working out and healthy eating work hand in hand to achieve a weight loss goal. 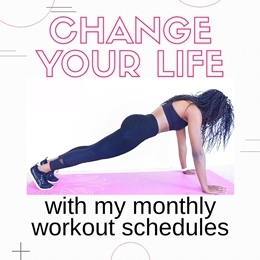 You probably have been working out all through the week and cannot wait to step on the scale. When you step on that scale, you find that there isn’t any noticeable change from the last reading. This can leave you feeling all sorts of low wondering where you did wrong. To aid your weight loss goal, we came up with a list of 8 foods that you should eat to help you achieve your weight loss goal. As most green leafy vegetables, Kale is low in the number of calories per serving but high in nutrients. This has it classified under the superfoods list. Kale helps you feel full fast and for a longer period, making you eat less, thus helping you lose weight. Kale is eaten raw or cooked. Make sure you don’t overcook it to lose its nutrition value. Ginger helps in boosting metabolism and increasing satiety. To achieve your weight loss goals, you need to add foods that increase metabolism into your diet. Ginger increases metabolism a great deal, making it hard for the body to store fats. 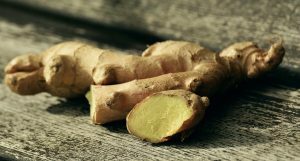 Ginger also aids in digestion and helps fight colds and flu. While looking to buy ginger, ensure you get the organic ones for the best nutritional value. The common saying – an apple a day keeps the doctor away – shows us that apples are very good for your health. Most people, however, do not know the weight loss value of apples. Apples have complex fibers that are hard to digest therefore keeping you full for longer. Apples also aid in lowering cholesterol. Apples are sweet and those who have a sweet tooth will be able to avoid unhealthy sweet snacks. Green tea has loads of antioxidants that aid in weight loss. It also has various elements like caffeine that will assist you to lose weight. While looking for a healthier drink alternative, you should consider taking green tea. You are advised to take 2 – 3 cups of green tea daily for the best results. Chia seeds are known as superfoods based on the high nutritional value that they have. Chia seeds are rich in fiber, thus, making you feel full for a longer period. This prevents you from unnecessary snacking and helps you eat less. Chia seeds are easy to prepare and can be added to smoothies, water or even porridge. Your body needs good proteins every so often to assist in your weight loss goal. You should eat the right amount of good protein to help you feel full. Salmon falls into the category of good protein that you should have and that your body needs. 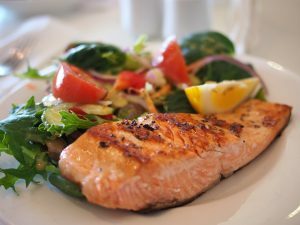 Salmon also contains the good fish oils that your body needs. Blueberries are known for their anti-aging benefits, and this makes them people’s favorite. What most people do not know is that blueberries are high in fiber, thus, making you feel full for a longer period. If you have a sweet tooth, you are in luck as chocolates have also made the list. 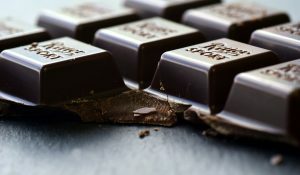 Studies show that dark chocolates have antioxidants that will help you lost weight. Go ahead and have a piece of dark chocolate today. Is sure is a healthy snack!